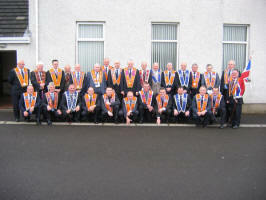 Magheragall District Orange Lodges held their annual Orange Service in Magheragall Methodist Church last Sunday morning. 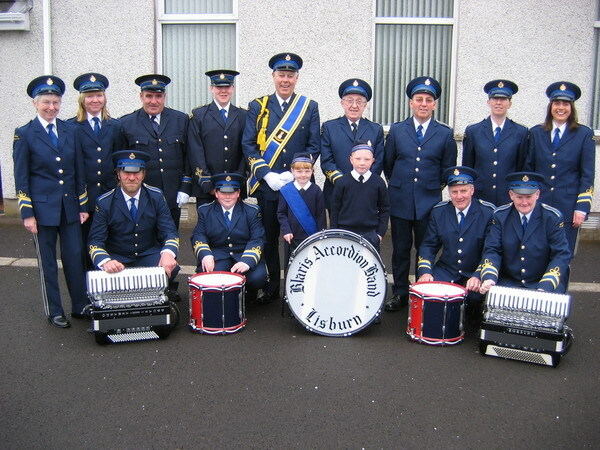 Blaris Accordion Band under its conductor George Caldwell led the Brethren on the short walk from Knocknadona Temperance Protestant Hall to the church. The Rev Clive Webster led the service and Roberta England on the organ led the praise. Pictured at the Magheragall District Orange Service in Magheragall Methodist Church last Sunday morning is L to R: (front) The Rev Clive Webster and William Thompson - District Master. 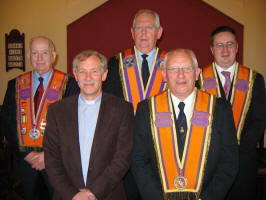 (back row) Harrison Watson - District Chaplain, Robert Moore - Deputy County Grand Treasurer and Mark Jamison - District Treasurer. 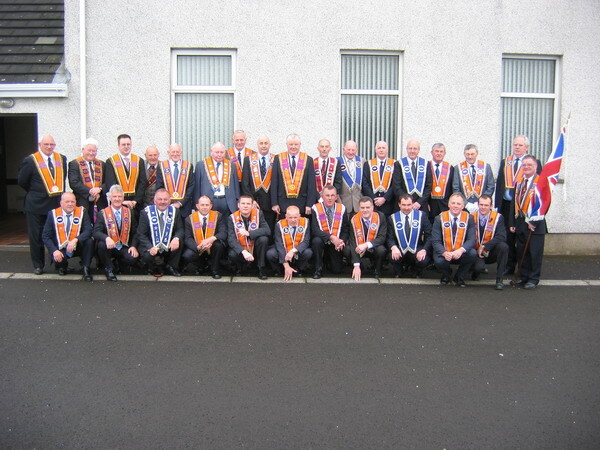 Magheragall District Orange Lodges pictured at Knocknadona Temperance Protestant Hall prior to the parade to Magheragall Methodist Church for their Annual Orange Service last Sunday morning. Blaris Accordion Band pictured at Knocknadona Temperance Protestant Hall prior to leading the parade to the Annual Orange Service in Magheragall Methodist church last Sunday morning.